Back Cover: Warchief Garrosh’s assassins strike at Vol’jin, leaving him at death’s door. But fate smiles on the wounded Darkspear leader when renowned brewmaster Chen Stormstout transports him to the safety of an isolated mountain monastery. There, Vol’jin wrestles with old hatreds smoldering between the Alliance and the Horde as he struggles to recover alongside a mysterious human soldier. Yet this is only the beginning of Vol’jin’s worries. Soon, he becomes embroiled in an invasion of Pandaria launched by the Zandalari, revered trolls driven by dreams of conquest and power. This ancient tribe offers Vol’jin a chance to seize the glory that is the birthright of all trolls… an offer made even more tempting after Garrosh’s brazen treachery. 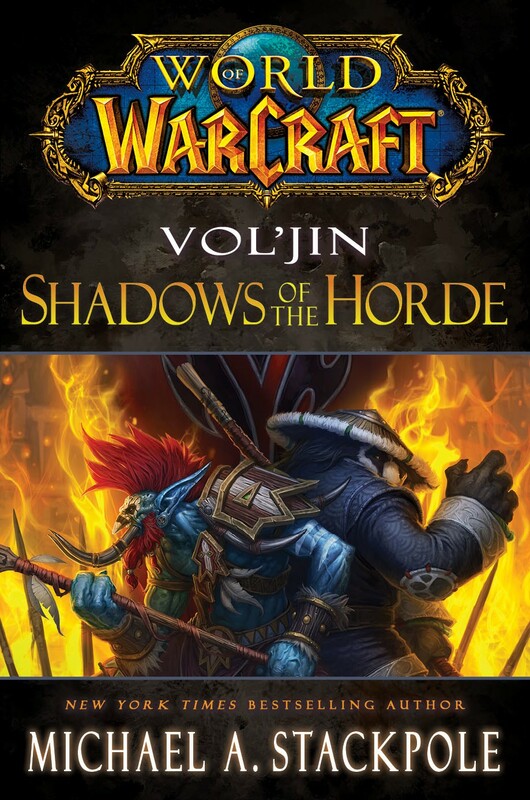 Amid these troubling events, Vol’jin is rocked by intense visions depicting his race’s grand history. As he questions where his loyalties lie, he knows he must make a choice about his own destiny that could save his people or damn them to languish under Garrosh’s heel. Amazon has it listed as available July 2, 2013. « Global Pet Battle League Season 2!